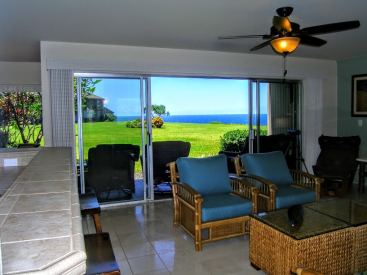 This fully-furnished first floor condominium opens out to the expansive green lawn overlooking the ocean- no steps and no stairs. Bali Hai sunsets and whale watching (in season) are just steps from the condo. 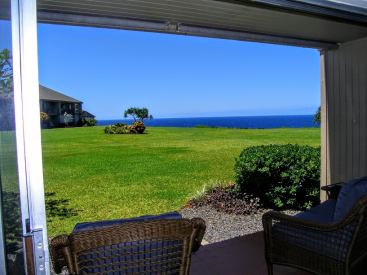 The living room, dining room, kitchen and family room all have ocean views. 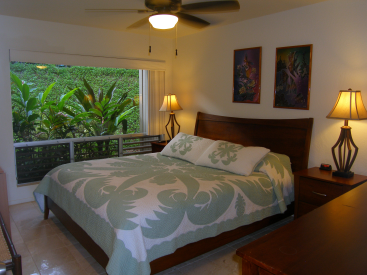 This 2 bedroom/2 bath condo has 1100 sq ft of interior plus an additional 152 sq ft of covered lanais. 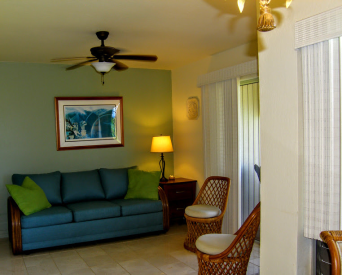 Enjoy relaxing on the covered lanai off the living room or enjoy the second lanai off the family room. The entire condominium has marble floors. The kitchen and bathrooms have quality materials. The kitchen appliances are like new. Each of the two bedrooms has a private bath. The master bath has a large walk-in shower and the second bedroom has a full bath with a tub/shower combination. This condo is currently a successful vacation rental. Buyer to honor existing bookings. 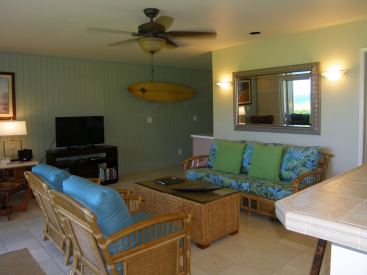 Pali Ke Kua is a popular vacation destination located on the ocean bluff in Princeville, Kauai, Hawaii. The development has 99 condos. 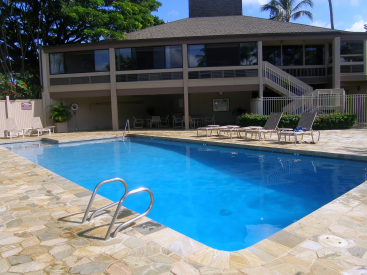 Amenities include a renovated swimming pool and spa. Pali Ke Kua offers a private paved path down to the beach. Hideaways Pizza Pub, casual dining and take-out, is conveniently located on the property.